More than a broadcast graphics playout. Powerful, multilayer, reliable and incredibly easy to use. Live titling the way you expect it. Instant operation. You click on it, it does its job. Completely immerse yourself into your work. If you know howto drag and drop, you can use LiveBoard. It´s easy: just drag the contents into the Contents Grid and arrange them however you like it. Press the button and send on air. Advanced results in a new way. Express yourself. 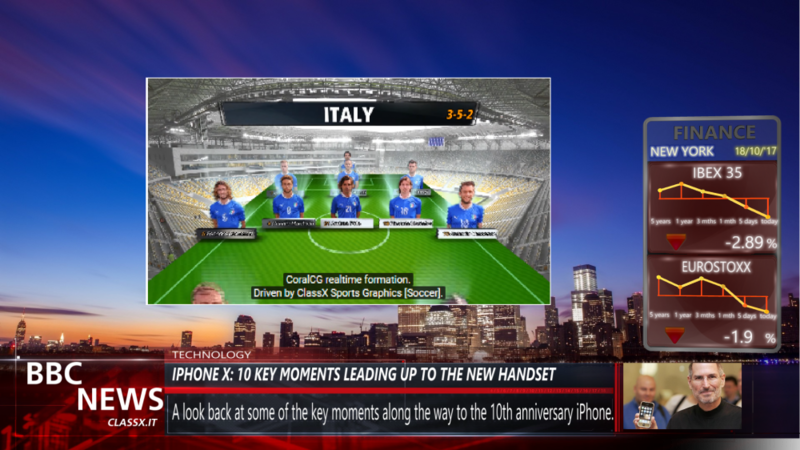 Turn your creativity into brilliant live, real-time graphics. Add motion templates, crawls, texts, pictures, video, audio, logic, data and more. They´ll blend together the way YOU want. Get your data from anywhere. 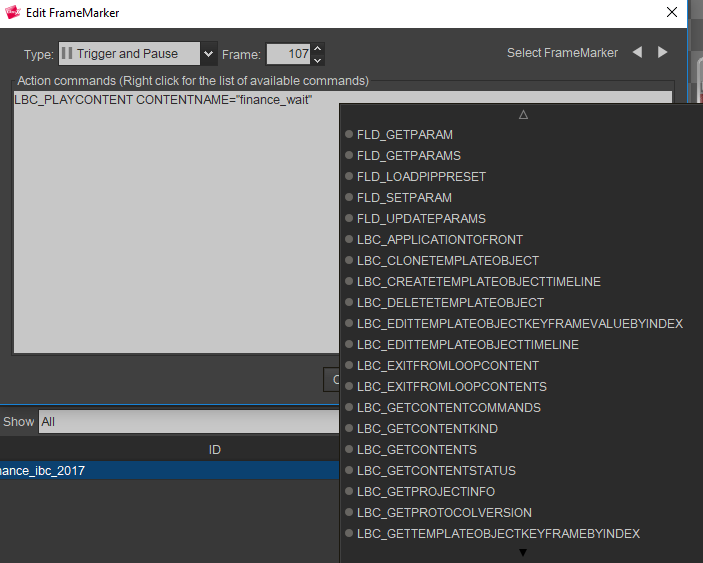 Connect your live graphic objects such as texts, videos and pictures to a lot of different DataSources. XLS, XML, RSS,CSV, TXT, SQL... and control them through the dedicated Data and DataSource panels. Scripting environment. You’ve got the power. Thanks to the built-in scripting facility you can improve your workflow, simplify boring or complex operations, automate and create any kind of interaction between live graphic contents. Images, HTML text, multi-color, multi-font, images, videos. This and much more, you were waiting for. 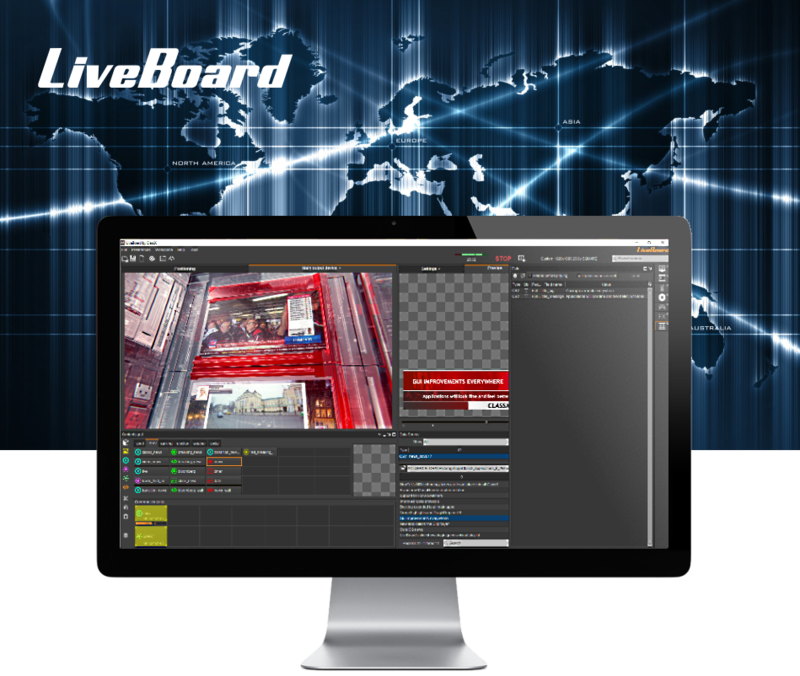 Discover LiveBoard´s StyledTicker: powerful, versatile, ready for the next RSS. 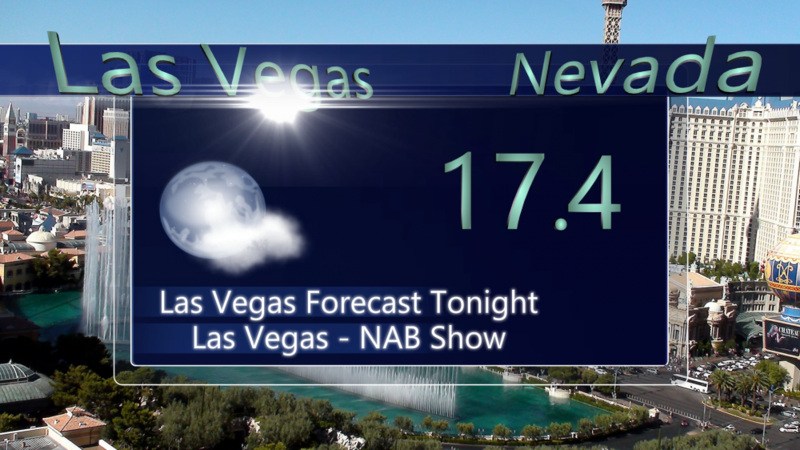 Stocks, Weather, loads of new information for your TV, you can´t live without it. Pause and Loop. Perfect together. With the introduction of ClassX´s TemplateActions technology, the "pause" button is no longer alone. 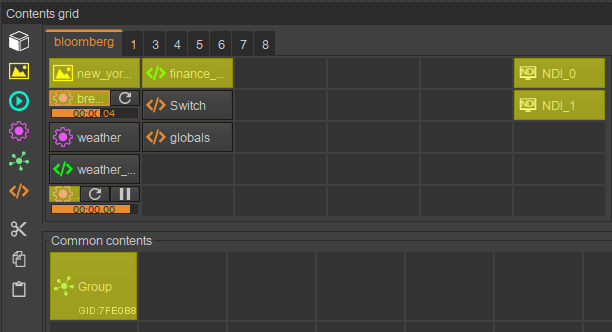 Set pause or loop FrameMarkers into your graphics templates or media from LiveBoard´s Preview Panel and manage events with extreme simplicity; the content buttons change their looks according to their properties. Set easly and quickly a series of commands in sequence at any point of your graphic template or media. Run an audio content at any point of its timeline or progress the record in a DataSource associated with a template every time it starts a new loop. Start timer on a specific frame. Automatic, logic, good. A call from Skype, a web page, your desktop or work environment: with this powerful ScreenCapture plugin, you may send on air anything that is being displayed on the monitor of your workstation. Cool!